We can’t do this alone. No business can function in a bubble. All businesses depend on partnerships with other companies. For example: we depend on the post office to ship products, printers to make our designs come to life, and editors to proofread content. When you think about everyone behind the scenes, you realize that it takes a tremendous number of people to make even a simple project come to fruition. This makes the quality of partnerships a business has even more important. In order to best serve our customers we take care of everything from concept to completion. To do this, we work with vendors who take our designs from a simple computer file to a tangible object. If a project doesn’t look good once printed, or a postcard arrives late in mailboxes, it reflects on our business. This is why it is so important for us to build relationships with our partners and work with people we know will do a great job. 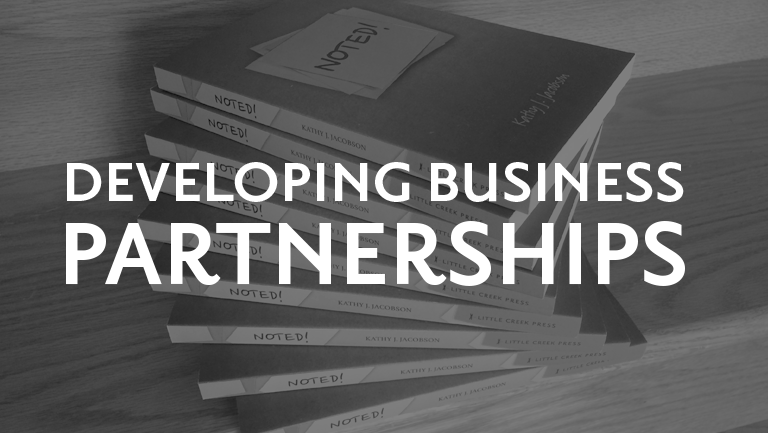 We’ve come up with some tips to help you develop strong business partnerships. Be open, ask questions, provide feedback, and listen to advice. Clear communication can solve potential issues before they become issues at all. Work with companies who operate their business on the same value system as you. These shared values help develop a level of trust and confidence. The golden rule always applies: treat others as you want to be treated. Remember that we all have the same goal – producing the best possible product for the customer. By putting these tips into practice you can build long-lasting business partnerships. 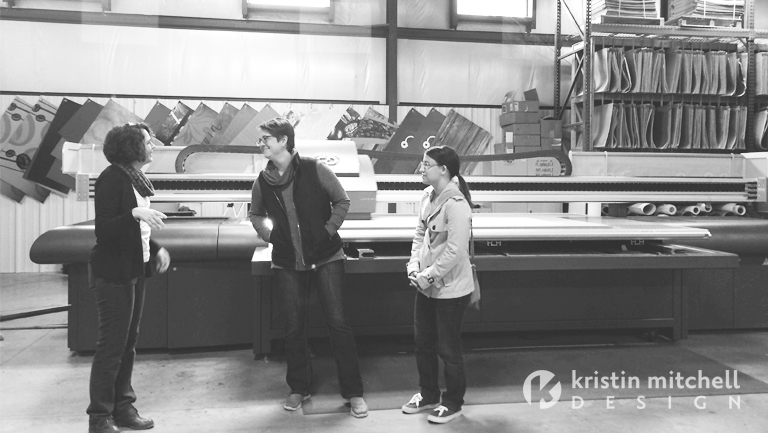 Kristin Mitchell Design, founded in 1997, is a full-service graphic design company. We work with all types and sizes of businesses including non-profits, small businesses and corporations. We believe in building strong relationships, thinking boldly and designing mindfully.